Wilfully Obscure: Notes on new music: Bird Streets, Guadalcanal Diary, St. Lenox, Dot Dash & the Jeremy Band. Notes on new music: Bird Streets, Guadalcanal Diary, St. Lenox, Dot Dash & the Jeremy Band. Here's a rundown of some new releases recently sent my way. Throw a dart an any given project or musical entity Jason Falkner is associated with and if you’re don’t land precisely on the bulls-eye, anywhere in the near-vicinity is at the very least satisfactory. John Brauder, an as-yet-to-be heralded singer/songwriter from New York was conscious of this as anyone. Upon reaching out to Falkner (former mastermind of such vaunted outfits as Jellyfish and The Grays, not to mention Beck’s current road guitarist) with a fresh batch of songs in mind, the two settled on a new collaboration, ergo Bird Streets. Neither party set out to reinvent the wheel here, and luckily they didn’t necessitate such an endeavor given Falkner’s penchant for rich, contrarian pop smarts and Brauder’s contemplative, albeit narrative prose. 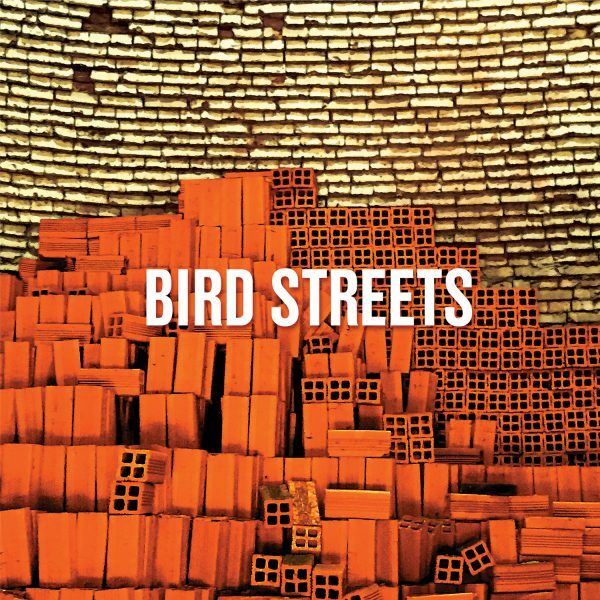 At its most intoxicating, Bird Streets peels off resonant pearls in the guise of “Direction” and “Same Dream,” not only recalling channeling its two architects but just as rewardingly Nada Surf. Likely a coincidence, but I’ll take it. 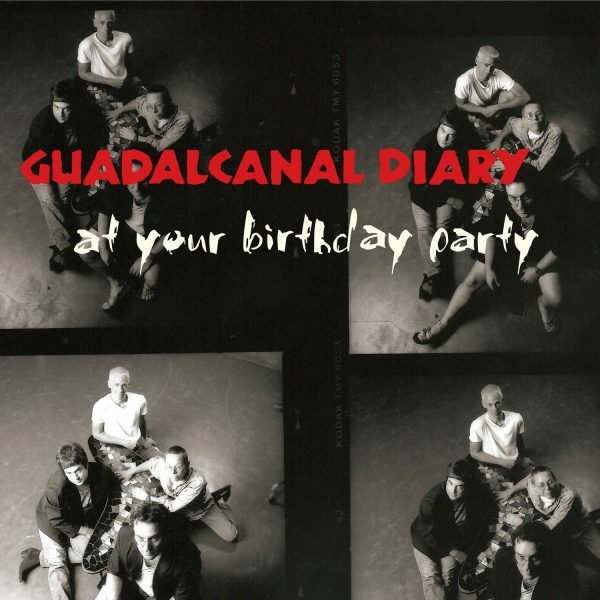 Guadalcanal Diary were one of the more neglected "should've made it" propositions of the '80s, and furthermore were a huge credit to the Georgia's already vibrant alt-rock milieu of the Reagan-era. Murray Attaway and Co. were responsible for four full length albums, the last one, 1989's Flip Flop saw them depart on something of a flat note with a record that just didn't have the oomph a lot of fans were accustom to. 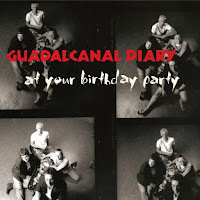 The band reconvened in the winter of 1998 for a two night stand in Atlanta, and were pleased enough with the results to commemorate the occasion, and perhaps Guadalcanal in general, with a privately released live record in '99, At Your Birthday Party. It became a minor collector's item over the years, and is now enjoying a bona fide widespread release on Omnivore. Say what you (or more, acurately I will) about their aforementioned lukewarm swan song, because I'll be damned if the fellas didn't cook live, even when running through some of the Flip-Flop's paces like "Pretty is As Pretty Does" and "The Likes of You." The brunt of the record concentrates on earlier material, dipping all the way back to the independently released Watusi Rodeo ep. Assertive and affirming Guadal classics "Litany (Life Goes On)," "Lips of Steel," and "Trail of Tears," among an assortment of others, are all present, accounted for, and brought back to shimmering life again. ...Birthday Party is a primo bookend to GD's career, and truthfully, not a bad way to sample their legacy if you're a newbie. 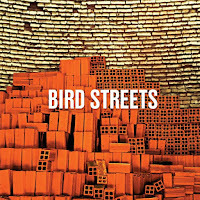 Both this and Bird Streets are available now from Omnivore. “You asked me what I like to do for fun in East Columbus, and I told you I wrote poetry to music in my mind” intones St. Lenox’s Andy Choi on “First Date.” However, my friends, Choi is not your run of the mill poet cutting third rate material, rather a singular force of nature who’s back with his third spellbinding collection. Possessed with a bellowing vocal range and a knack for stitching together verbose, cathartic diatribes that eschews mundane metrical composing (i.e. “rhyming”) entirely, the bard in question goes straight for the jugular. Adopting a discernibly more stream-of-consciousness tact on this go-around, Ten Fables of Young Ambition and Passionate Love isn’t always as soaringly melodic as St Lenox 2015 debut, ...Memory and Hope. 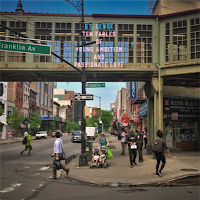 Yet despite the fact that the hooks aren’t consistently frontloaded, you won’t mind chilling a few seconds longer as Choi waxes on a bouquet of romantic quandaries, and throws down a fever dreams's worth of cathartic, rapid-fire truisms throughout. And pay close attention to the presumably semi-autobiographical “Gold Star,” which loosely analyzes why he isn’t keen on relinquishing his day job for the full time music career that St. Lenox fans (to our tortured chagrin) wish he would just finally embrace. 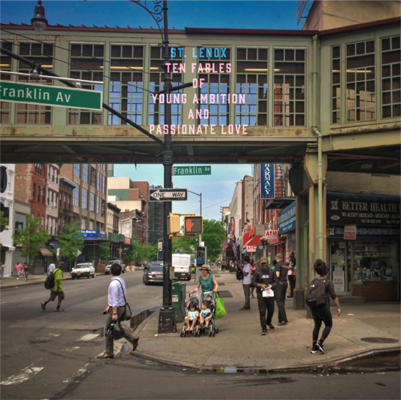 Ten Fables is available September 28 from Anyway Records or Amazon. But what, there's more. 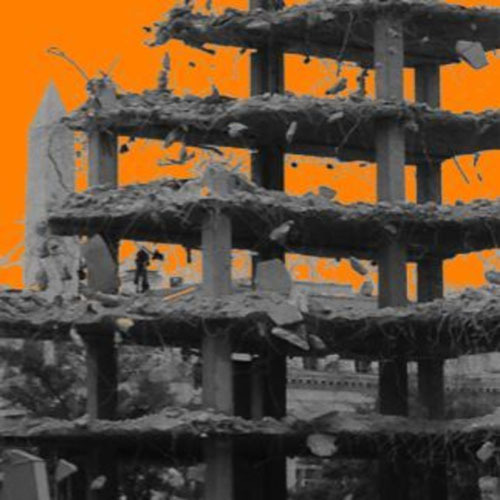 Dot Dash have just dropped LP #6. 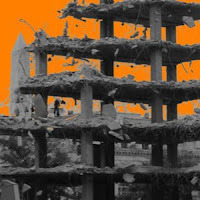 The D.C. area denizens whose antecedents lie in such esteemed indie rock conglomerations as Swervedriver, Tree Fort Angst, and Strange Boutique among others have been pumping out a deluge of strident, clangy power pop, with lite post-punk affectations (not to mention a solid dollop of wit) for almost a decade now, and Proto Retro is another sturdy link in the chain. Dot Dash aren't ones to alter their recipe, as what they started with was downright effective. One borderline anomaly on Proto I'd be remiss if I failed to mention is "TV/Radio," a fun, briskly paced cut with Anglo-punk leanings, briefly name-checking some rather recognizable public figures. A video for "Unfair Weather" recently dropped here, and the album is available as we speak from The Beautiful Music and Amazon among other sources. Last but not least, Portage, MI's finest son Jeremy Morris is back with a new collection of plaintively, pleasant guitar pop, in the guise of Joy Comes in the Morning. Credited to his most recent ensemble, The Jeremy Band, the album is a continuation of his jangle-inflected, chin-up aesthetic that's as reliable as a rooster's morning croon. Call it twelve, middle-aged symphonies to God (and otherwise) if you will. 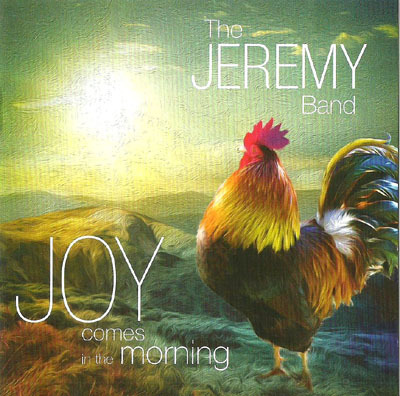 And being it's a Jeremy record, the ageless hippie in him doles out his usual allotment of psych guitar treatments as well. Joy Comes... is available now straight from Jam Records. Nice, thoughtful and well-constructed reviews. I agree with you on Bird Streets (though I didn't know that Jason Falkner was involved), and especially your "narrative prose" remark, and while I have have not listened to the others yet, I do remember Guadalcanal Diary from their first time around, and look forward to listening to The Jeremy Band based on your description. On another note, have you noticed that the term pop (as in pop music) has lost some of its negative connotations over the last few years, and if so, why? Thanks for the kind words Mark. As far as your observation about the term "pop" becoming less of a negative thing, I haven't particularly noticed. Pop was seen as something almost totally untowards in the early 90s when metal, grunge and rap dominated, but upon graduating high school around the same time I stopped keeping score.